The right to protest is under assault. State after state is considering laws designed to chill the right to assemble. These bills include such draconian provisions as holding organizers and protesters criminally liable for the bad acts of third parties or removing legal liability for running over protesters. Other states and even the US Congress are considering bills designed to punish people for engaging in nonviolent boycotts for human rights. And prosecutors are bringing disproportionate charges against protesters with increasing regularity and in some cases using outrageous guilt by association theories to criminalize merely being present at a protest where someone else engages in vandalism. The right to protest is essential for social change. Opponents of Black Lives Matter, anti-pipeline protests, and other social movements know that. That’s why they are pushing for bills designed to intimidate their opponents. Visit the International Center for Not-for-Profit Law Anti Protest Law Tracker for up-to-date information about bills introduced/laws passed in your state. 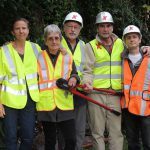 April 9, 2019 – Valve-turner Ken Ward will be allowed to explain to a jury why his civil disobedience was necessary. April 8, 2019 – Missourians! 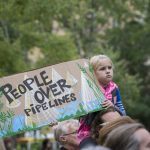 Take action now to help us defeat a bill in the Missouri General Assembly that would crackdown on protests near pipelines and other energy infrastructure. 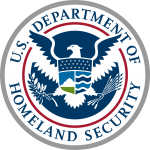 March 7, 2019 – Both Immigrations and Custom Enforcement (ICE) and Custom and Border Patrol (CBP) are engaged in monitoring and tracking First Amendment protected activity.Monitoring of political speech is inherently chilling. It is also outside the jurisdiction of both ICE and CBP. 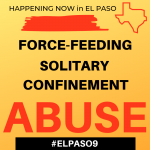 March 7, 2019 – The hunger strike in the El Paso Service Processing Center has entered it’s tenth week. The strike continues despite cruel abuse of the protesters, and even after two of the #ElPaso9 hunger strikers were deported last Thursday. March 4, 2019 – A bill making its way through the Illinois General Assembly is aimed directly at our right to protest against pipelines and fracking.